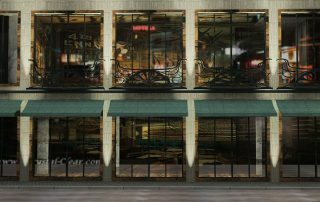 Object Creation of a new concept design for a lounge bar and restaurant in one of the most popular street for the Shanghainese nightlife. 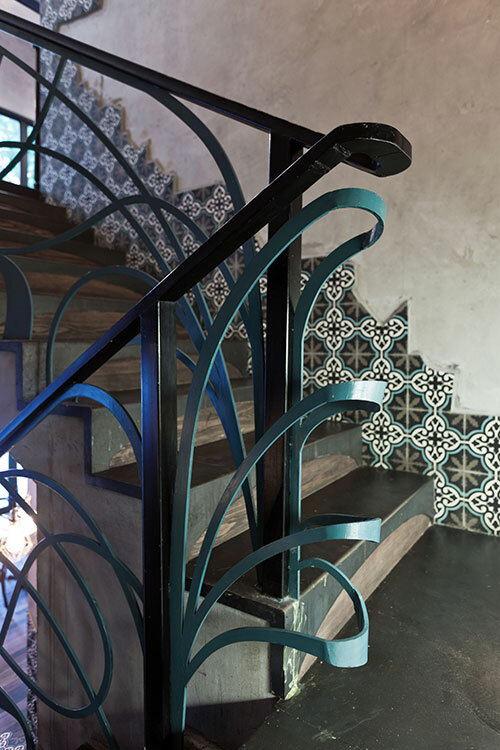 Detail This project takes inspiration from an old railway station still creating an innovative environment. 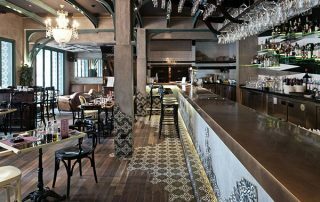 Located on two floors this venue has the typical flavour of an european architecture from the end of the nineteenth century. 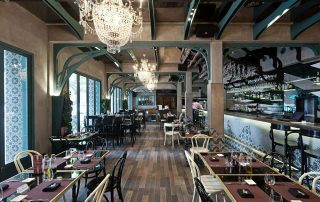 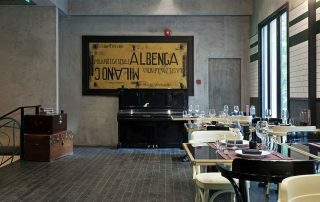 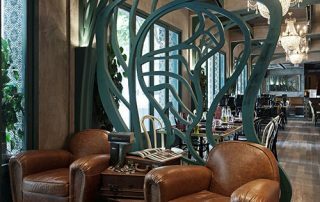 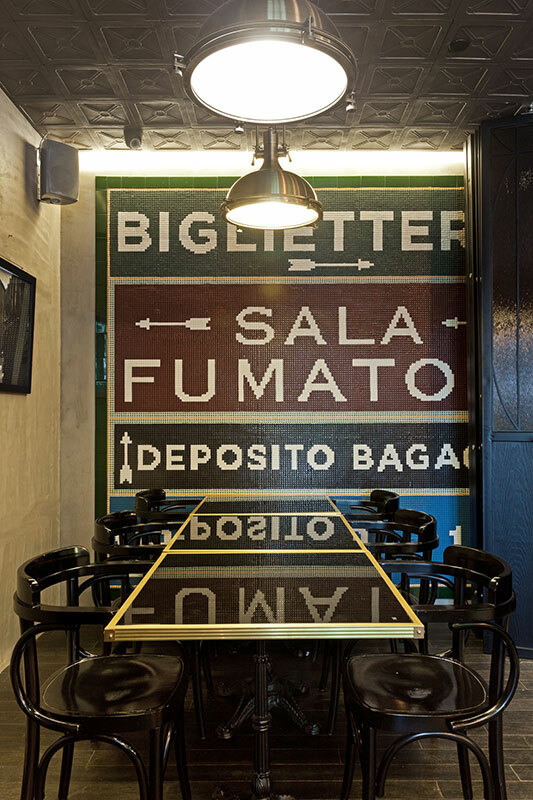 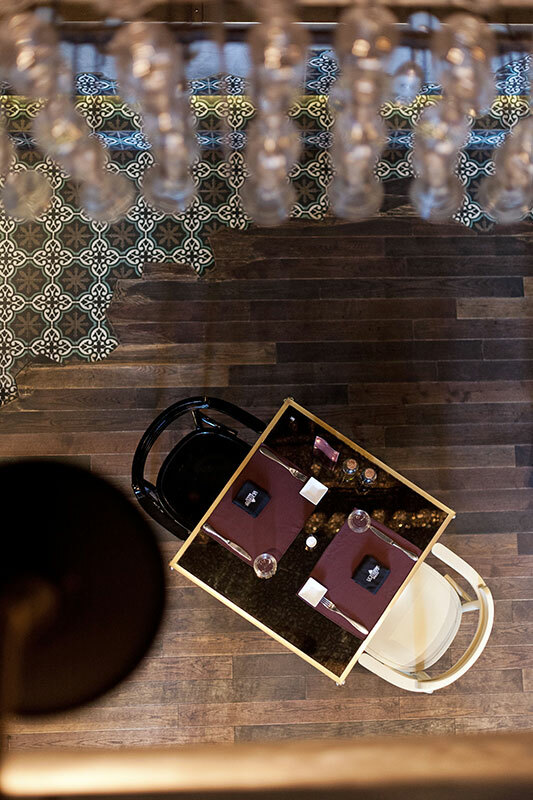 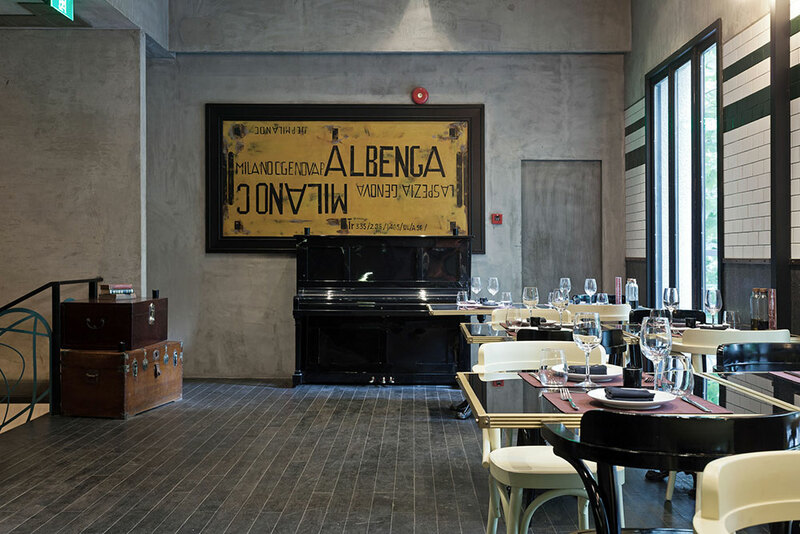 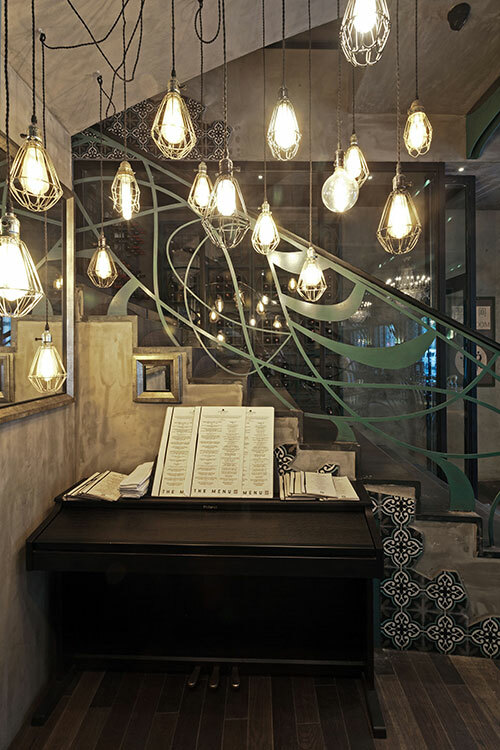 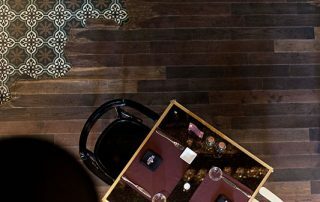 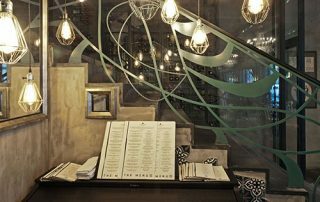 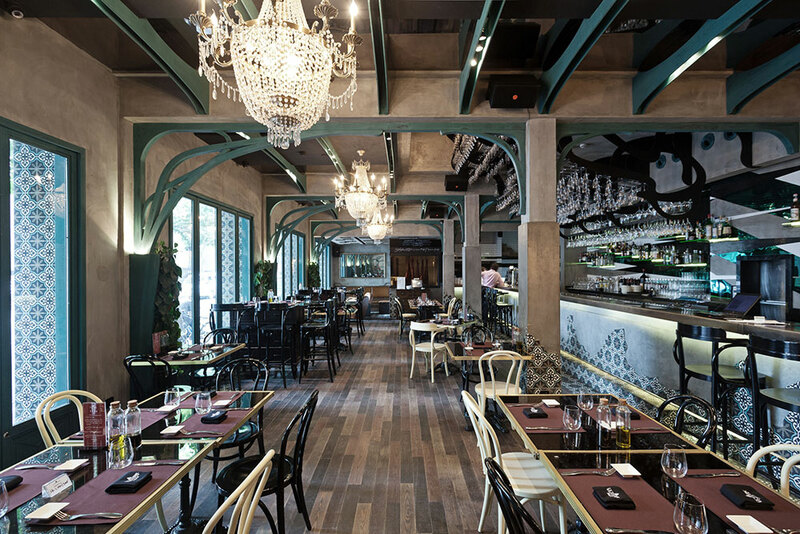 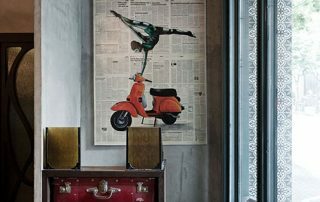 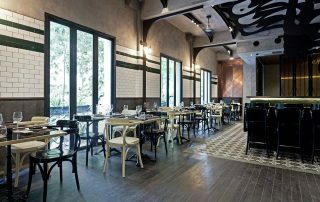 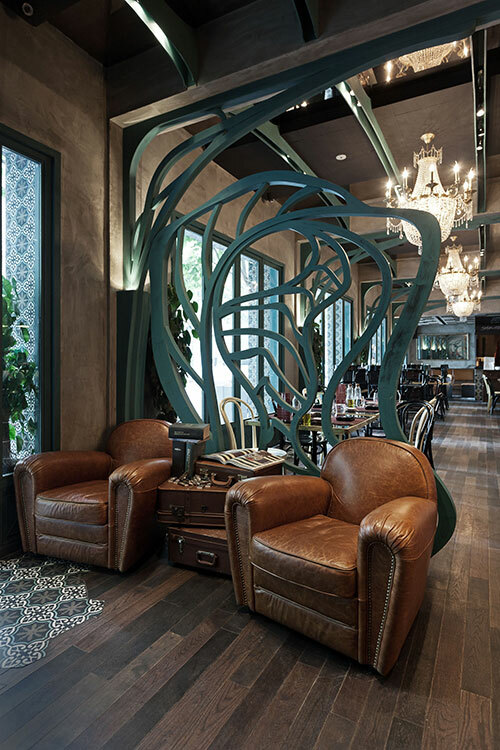 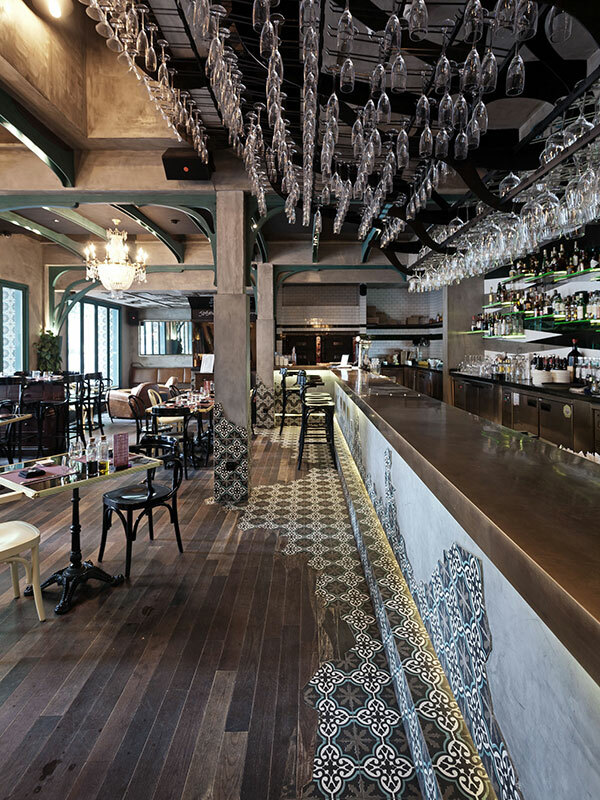 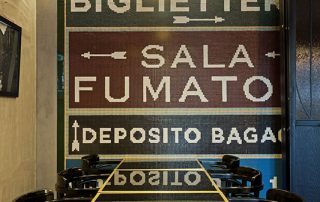 This restaurant is characterized by a decadent and vintage look, one of the scope being to give the feeling of an abandoned venue refurbished but which still kept many elements from his ‘previous life’. 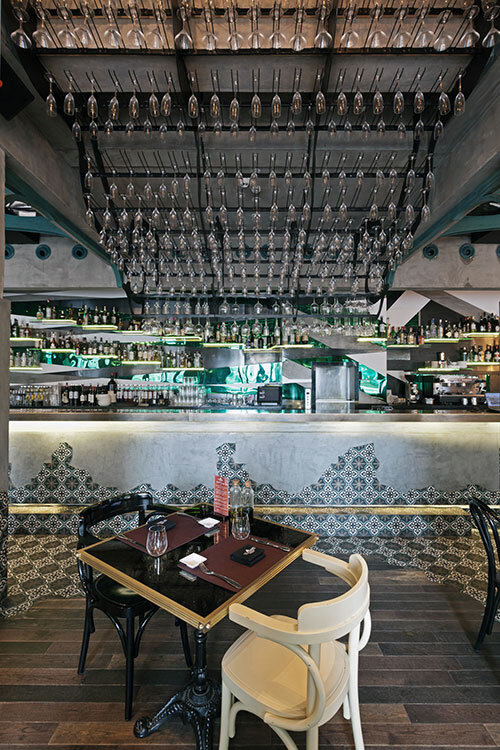 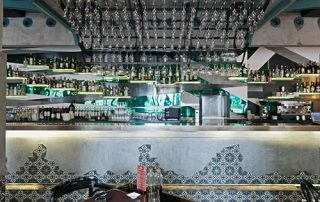 Main elements are iron pillars, floral style partition walls, big mosaic composition, and a lot of broken old looking cement tiles on the walls and chalk tiles on selected area of ceiling. 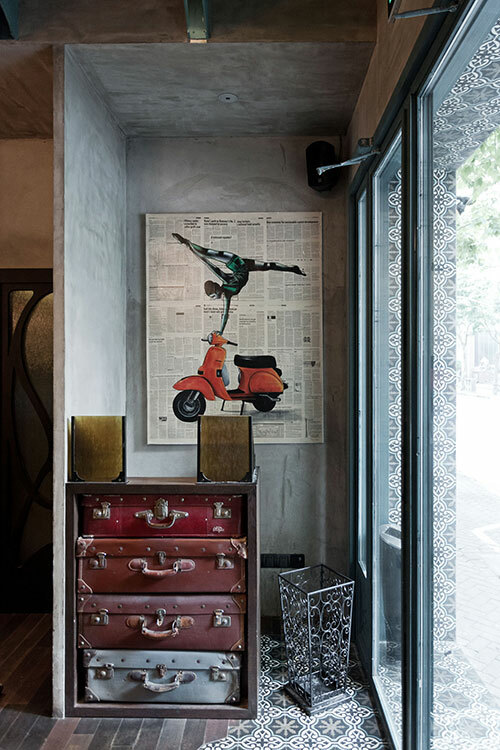 Many elements such as clocks, luggage’s and decorative panels bring the client back into the golden era of railways. 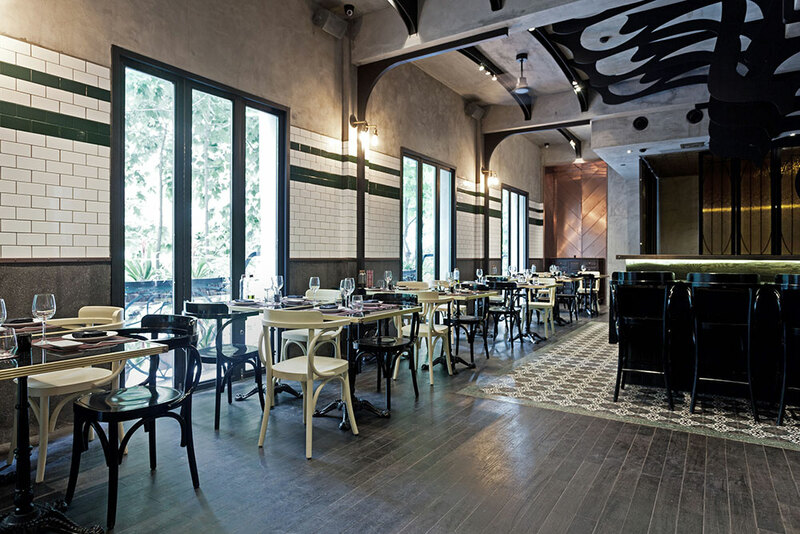 Broken tiles are featured all over the place, both in the interior and on the façade to remind of an abandoned train station hall. 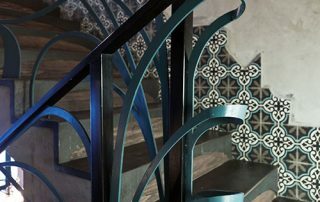 The continuity between the 1st and the 2nd floor is assured by the spectacular art nouveau glass holder which goes from the first floor through the void, up to the second floor’s ceiling .